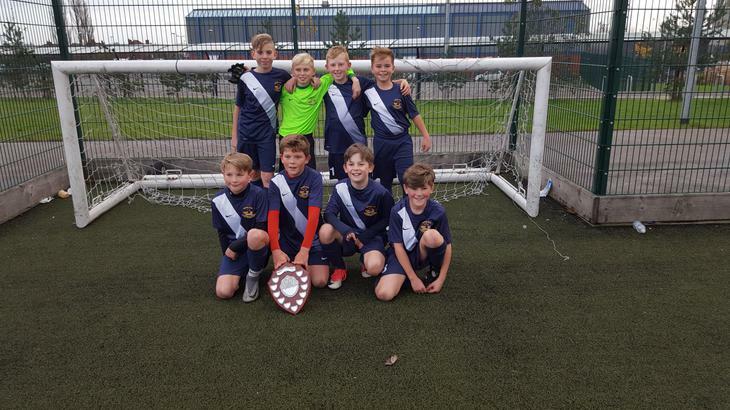 Congratulations to our Boys' Football Team who are the Barnsley Y5/6 Football Champions, for 2017-18. After successfully making their way to the final they managed to defeat reigning champions, Penistone St Johns, with the only goal of the game coming from the left boot of Callum Shone. They then held out to keep a clean sheet, meaning that they had not conceded a single goal throughout the whole competition. Congratulations to all the team and special thanks to Bruce Dyer for the time that he has put in coaching and encouraging these boys! This team now go on to represent Barnsley in the South Yorkshire Finals. Congratulations also goes to our B Team who made it through to the quarter finals and were knocked out by our A Team - but it took an extra time golden goal to settle it. A special mention also goes to the C Team who qualified for the Barnsley Finals and performed very well. A fantastic well done to all the boys involved you have done Burton Road proud.